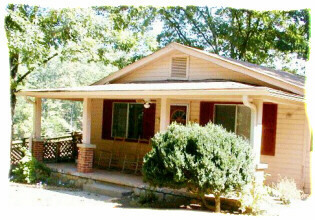 This 2 bedroom home located on a mountain lake sleeps 6. Fully furnished just bring your toothbrush. Rent for a night, week-end or by the week. Boating, fishing, swimming, hiking, and water skiing are available at the lake. Whitewater rafting, antiquing, great dining, golfing, folk arts and crafts are in the local area. Only 2 hours from Atlanta, Asheville, Chattanooga or Knoxville; it is secluded yet conveniently located.